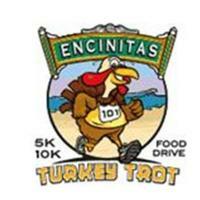 The course starts under the world famous " Encinitas" sign on historic Coast HWY 101 in beautiful Encinitas, California. Course rises above some of the most popular surf breaks in the world as it heads south to Cardiff State Beach. Then you get to enjoy the return trip by taking in the California coast line.